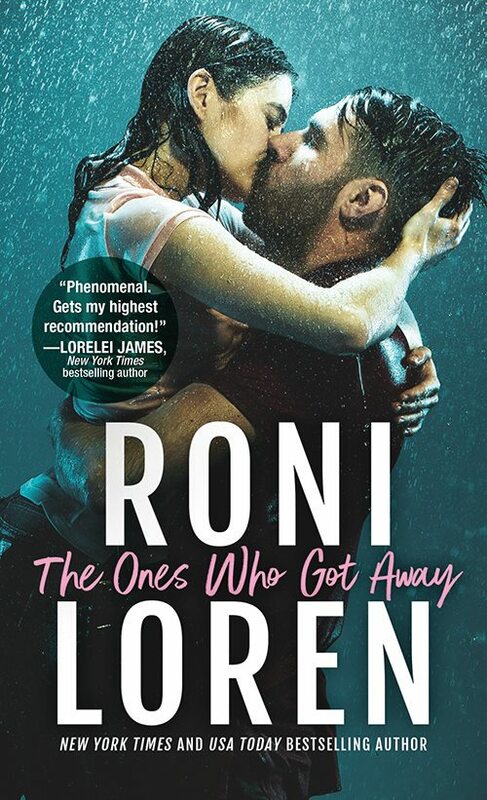 Today I have author (and original founder of #5MinuteFiction) Leah Petersen stopping by to nominate her Boyfriend of the Week. If you don't know Leah yet, you should stop by her blog and check out her fantastic posts. Also congratulate her on her debut, Fighting Gravity! So I've chosen someone a bit...unorthodox for my boyfriend. But, see, I fell in love with him years ago, when I was just a teenager, back when he was commanding the USS Enterprise in Star Trek: The Next Generation, and I've never gotten over it. He's got that smart, stern, sweet, smoldering thing going on that just turns my insides all liquidy. 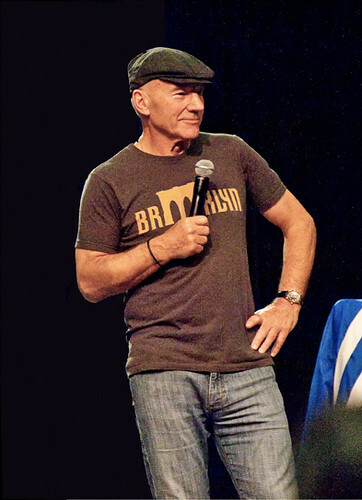 And you have to admit, Patrick Stewart makes bald HOT. Any other Patrick fans out there? When Jacob Dawes is Selected for the Imperial Intellectual Complex as a child, he’s catapulted from the poverty-stricken slums of his birth into a world where his status as an unclass is something no one can forget, or forgive. 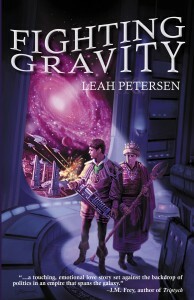 His growing scientific renown draws the attention of the emperor, a young man Jacob’s own age, and they find themselves drawn to each other in an unlikely, and ill-advised relationship. Jacob may have won the emperor’s heart, but it’s no protection when he’s accused of treason. And fighting his own execution would mean betraying the man he loves. BIO: Leah Petersen lives in North Carolina. She does the day-job, wife, and mother thing, much like everyone else. She prides herself on being able to hold a book with her feet so she can knit while reading. She’s still working on knitting while writing.